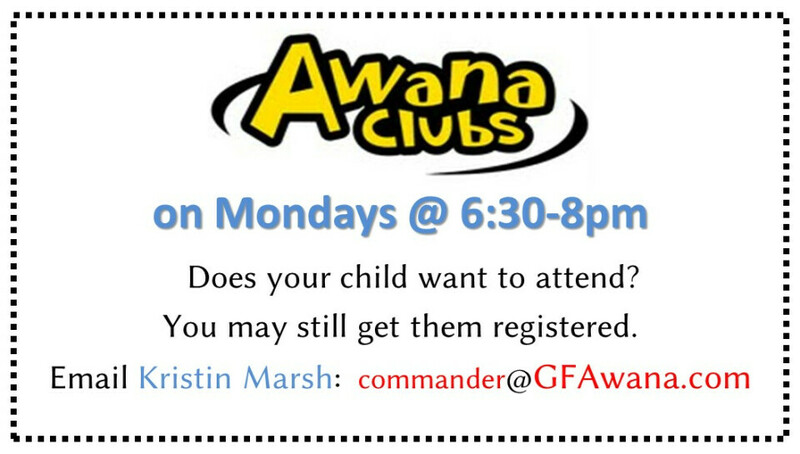 Register children ages Pre-K –12th grades for Awana at: http://gfawana.com. Awana started on Monday, Aug. 21. You may still register kids. Awana meets on Mondays from 6:30-8pm. Contact our Awana Commander, Kristin Marsh ( ) if you have questions.